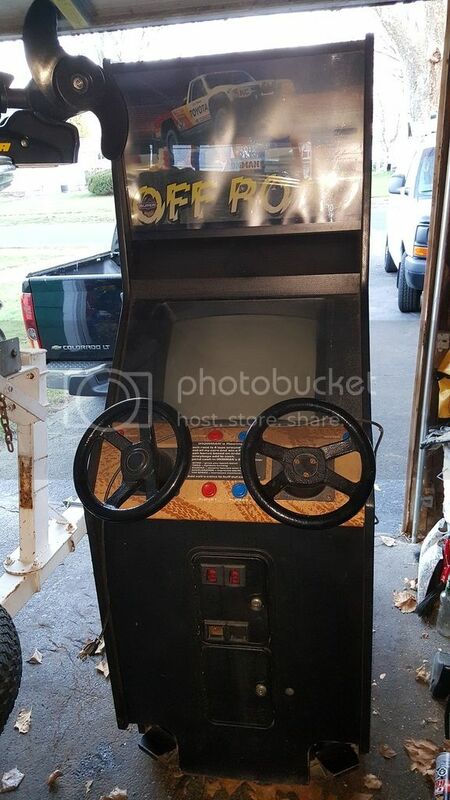 I have a 2 player Super Off Road that I am possibly looking to get rid of. I bought this from one Geralds auction way back when. Currently sits in the basement and would need someone to move it. Now that I have a bum shoulder, I can barely wiggle it around the basement. Anyone interested? I haven't checked current value but looking for someone to enjoy it. Geez, I didn't know Ironman came in a 2-player cab. Neat! The 3-player cab is very big! Is this still up for grabs?